Professor Payne has extensive experience in the tertiary sector and has researched and taught in a variety of exercise science and health promotion areas. He has published over 250 refereed publications, conference proceedings and major industry reports. His work with industry has resulted in significant changes to a range of industry groups and has received a number of awards. Since 2003, he has been awarded grants for consultancy-based research totalling over AUD $6 million for work in physical performance test development and health program evaluation. Professor Payne is a past Chair of the Victoria Deputy Vice-Chancellor (Research) Committee and an executive member of the Universities Australia Deputy Vice Chancellor (Research) Committee. 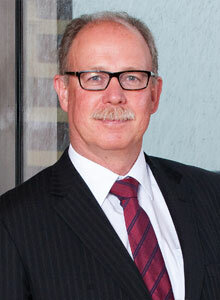 He has been a board member and an advisor to a range of professional, industry, government and community organisations. In particular, he was a founding executive member of the Australian Association for Exercise and Sports Science. In addition, he has held numerous board positions with Sports Medicine Australia resulting in him being awarded a Fellowship and President’s Award by Sports Medicine Australia. Professor Payne has also received a number of academic and industry awards including the 2003 Ig Nobel Prize in Physics. He has also established a range of commercial and academic links with countries including China, Sri Lanka, USA and UK. He played a significant leadership role in Victoria University (VU) being ranked in the top 2% of the world’s universities. This included having the majority of VU’s research being assessed as being at, or above world standard. Professor Payne also led the establishment of VU Research, a whole-of-University department responsible for the conduct and development of all of VU’s research and research training activities. Casey, MM., J.T. Harvey, A. Telford, R.M Eime, A. Mooney and W.R. Payne. Effectiveness of a school- community linked program on physical activity levels and health-related quality of life for adolescent girls, in Hassan, A. (Ed.). School Nutrition and Activity: Impacts on Wellbeing. CRC Press. 45-74, 2015. Casey, M, W.R. Payne and R. Eime. Organisational readiness and capacity –building strategies of sporting organisations to promote health, in Weed, M. (Ed.) Sport and Leisure Management Vol 1. Dimensions of Sport and Leisure Management. Sage, 2013. Harvey, J., J. Culvenor, W. R. Payne, S. Cowley, M. Lawrance, and R. Williams. Dragging sheep: an Ig Nobel winner, useful physics and easier workplaces, in Serway, R., Jewett, J., Wilson, K. and Wilson, A. Physics Vol. 1 Asia-Pacific Edition. Melbourne: Cengage Learning, 2013. Eime, R., J.T. Harvey, M.J Charity, M. Casey, H. Westerbeek and W.R. Payne. The relationship of sport participation to provision of sport facilities and socioeconomic status: a geographical analysis. Australian and New Zealand Journal of Public Health. 41(3):248-255, 2017. Casey, M.M., R.M. Eime, J.T. Harvey, N.A. Sawyer, M.J. Craike, C.M. Symons, W.R. Payne. The influence of a Healthy and Welcoming Environment on participation in club sport by adolescent girls: A longitudinal study. BMC Sports Science, Medicine and Rehabilitation. 9(1):2017. Craike, M., J.A. Young, C.M. Symons, M.D., Pain, J.T. Harvey, R.M. Eime and W.R. Payne. Trends in body image of adolescent females in metropolitan and non-metropolitan regions: a longitudinal study. BMC Public Health 16(1):1143, 2016. Eime, R.M., J.T. Harvey, M.J. Charity and W.R. Payne. Population levels of sport participation. Implications for sport policy. BMC Public Health 16. Casey, M., J. Harvey, A. Telford, R. Eime, A. Mooney and W.R. Payne. Patterns of time use among regional and rural adolescent girls: associations with correlates of physical activity and health-related quality of life. Journal of Science and Medicine in Sport 19(11):931-935, 2015. Eime, R., J. Harvey, M. Charity, M. Casey, H. Westerbeek and W.R. Payne. Age profiles of sport participants. BMC Sports Science, Medicine and Rehabilitation. 8:6, 2016. Eime, E.M., J T Harvey, C M Symons, M J Craike, N A Sawyer, M Moore and W.R. Payne. Factors Influencing Participation in Physical Activity and Sport by Adolescent Females. Sport and Recreation Victoria, Department of Planning & Community Development. 2012. W.R. Payne, J T Harvey and S C Dharmage. Immigrant Physical Activity Study. Victorian Health Promotion Foundation, 2011. W.R. Payne, J.T. Harvey, and K.R. Stock. Green Gym Program New South Wales: Evaluation of Phase 2008-2009. Ballarat: University of Ballarat, 2010. Title: Enhancing Incident Management: A Human Factors Perspective. Institute for Health and Sport (IHES).